Tripping Over My Roots: Merry Christmas and Happy New Year! My grandfather Matthews' creche in the 1950s. To all those who celebrate, Merry Christmas! And a Happy, Healthy, Prosperous New Year to all! (2) "The Creche". Digitized slide ca. 1952, privately held by Anna C. Matthews, [ADDRESS FOR PRIVATE USE,] Rockville Centre, NY, 2017. 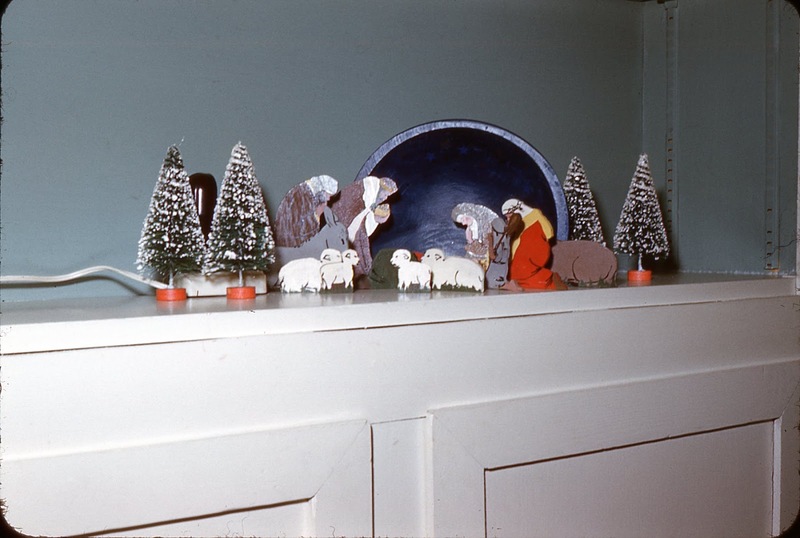 The original slide passed from the photographer, Stephen D. Matthews, to his daughter, Anna, via his second wife, Kathleen (Dwyer) Matthews in 2008. And a peaceful Christmas to you and your family!